Since the birth of the company nine years ago, Entourage Yearbooks has gained recognition for their customer service and innovative technology, such as their newly released design software EDOnline 6.0 and quick turnaround times. 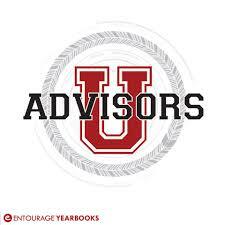 The company expanded the programming offered to advisors and hosted their first High School Yearbook Advisors Conference. Entourage created the conference specifically for high schools because they tend to organize the yearbook curriculum differently than schools at other levels, and they wanted to offer specialized support to cater to these needs – which was a welcome addition to the program, according to attendees of the first conference. Daniel from Lee Pollard High School said, “I thought the conference was amazing. It was cool to meet with other advisors to see what they’re doing, to see the success that they’re having, and ideas that I hadn’t even considered. It was really a valuable experience." The advisors were invited to attend two days of workshops in Princeton, New Jersey. Industry leaders and graphic designers presented workshops which focused on topics such as how to organize financially successful yearbook programs, and how to create a stunning yearbook. According to marketing team leader Sara Aniano, one of the discussions also focused on strategies for alleviating “challenges presented by working with print in a digital world, like the influx of selfies and low-quality photos from cell phones.” In turn, school yearbook advisors were invited to share any experiences and wisdom gained while working as an advisor. In addition to the workshops, attendees were given a behind-the-scenes look at Entourage’s New Jersey location for daily operations and yearbook production. Dylon from Roosevelt High School said, “It was really cool to end [the conference] here at the plant to kind of see the whole transition on how the yearbooks are actually made." Inspired by the success of the first conference, Entourage Yearbooks is planning to offer a second conference in July of 2016 and has asked the Advisor’s Council to offer recommendations for workshops which yearbook staff would find beneficial. Entourage Yearbooks is excited for the opportunities that future conferences will allow. For more information, contact Entourage Yearbooks or Nicole Lipnitz at 888-926-6571.